Sgt. 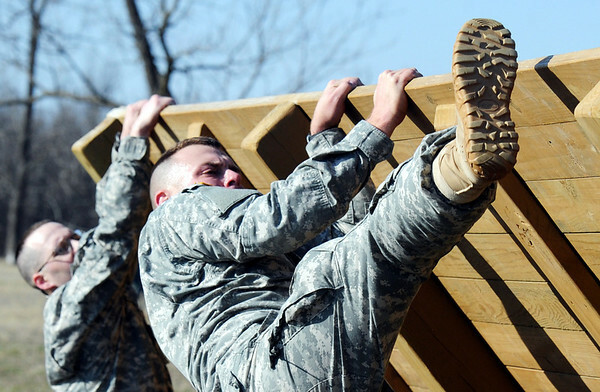 1st Class Brandon Stockwell, of Brunswick, climbs over an incline wall Tuesday morning, Feb. 28, 2012, on an Army National Guard obstacle course at Camp Crowder in Neosho. About 200 soldiers started their air assault training. Spc. Robert Tabor, left, of Springfield, also begins his climb.